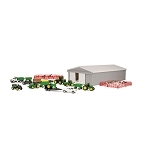 1:64 scale Ertl Farm Country 65-piece Playset. 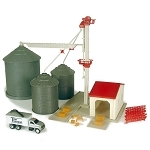 Q: What all is in this playset? I.E. 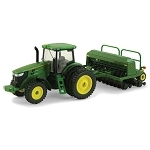 How many cows, what "equipment", and parts are included? 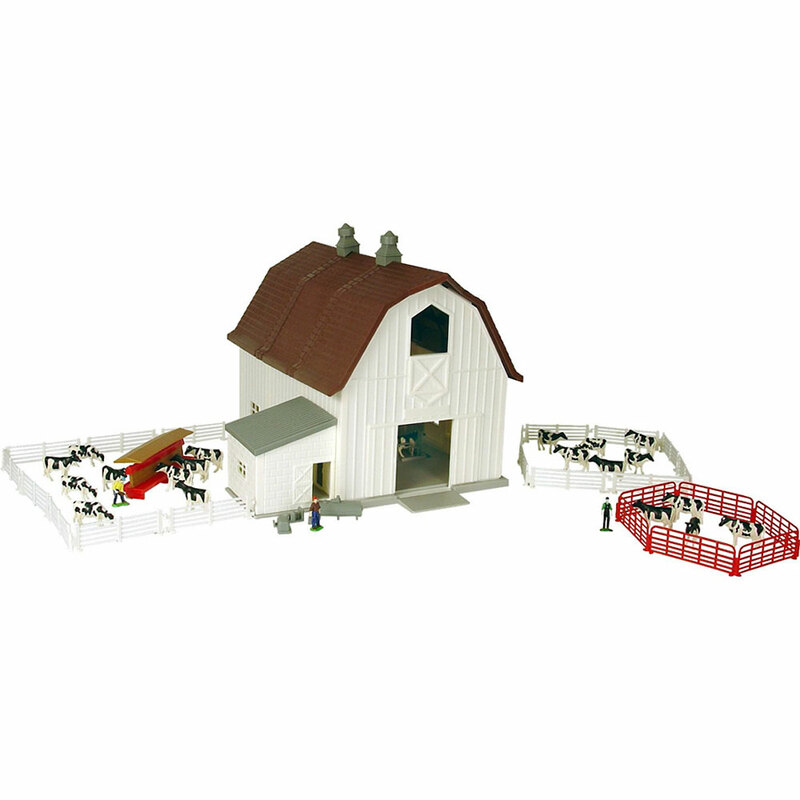 A: 11 cows, 3 farm workers, the barn, fencing and some other miscellaneous pieces such as the trough, and an lp tank are included In this set. 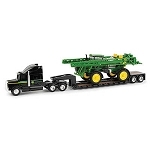 my son fell in love with this! 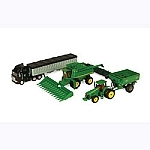 Ertl has improved this set from the orginal. 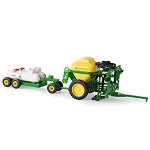 Great for the little farmer in anyone.